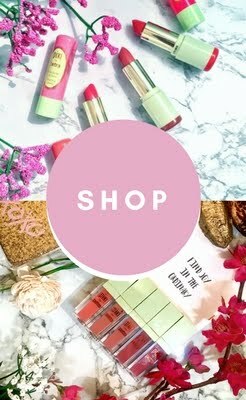 I am a skincare junkie and will invest and try new product just for the heck of it. 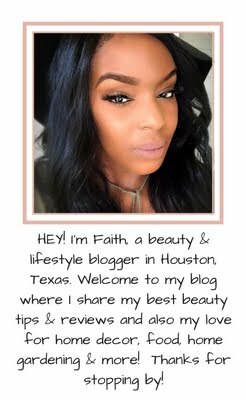 And I am a "beauty blogger' so my main goal is to find things that I believe work or don't work and provide a resource for my family to access. 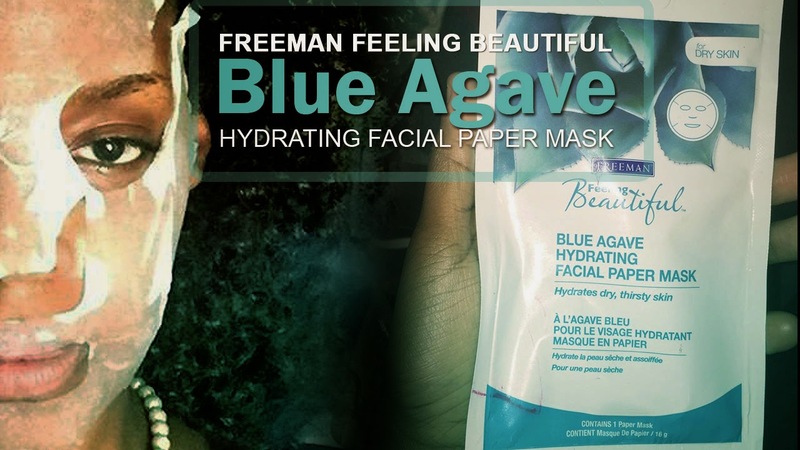 This venture involved transforming skin from dry to dewy using the @Freeman Facial Hydrating Paper Mask (Blue Agave). 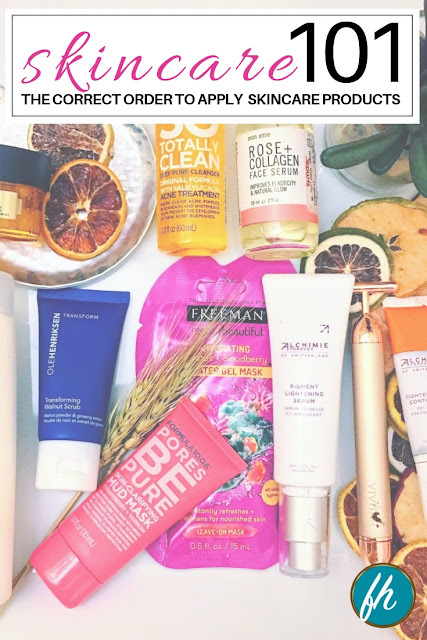 I had the opportunity to try and test this product! This is an Serum -enriched paper facial mask that contains soothing Blue Agave to soften and rehydrate. Ultra-hydrating Hyaluronic Acid and Allantoin that help give the skin a refreshed look and smoother finish. This mask is made from a thin fiber like paper that have precut slits for the nose, lips, eyes and mouth. The mask adhered to my skin quite nicely. Blue Agave - Agave is a plant also known as the plant where tequila derives from. the eye. Blue Agave was used by the aztecs in Mexico for hundreds of years as a folk remedy to cure many types of skin conditions and wounds. Research shows that agave has abundant remedial potential. If applied on the skin surface agave if found to provide relied from pus producing bacteria such as staph aureus. When salt get added to agave nectar, it's anti-microbial property gets even further boosted. 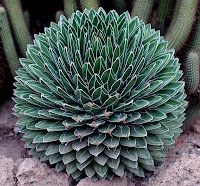 Agave is also known for it's anti-aging properties. Hyaluronic Acid this ingredient is definitely no stranger to this blog. It is mentioned a lot. Many think because Hyaluronic is a acid it's damaging to the skin but it is the total opposite of what you think it is. It is a powerful humectant (also known as moisture-binding ingredient) that keeps skin plump and hydrated and young looking something that we all desire. Allantoin is used for scrapes burns and cuts as a way to soothe and protect the area. It also speeds up wound healing by stimulating new skin cell growth and sometimes used to treat radiation skin burns for people who are undergoing radiation treatment for cancer. Water/Aqua/Eau, Glycerin (Glycerin 99.5%), Agave Tequilana Leaf Extract, Aloe Barbadensis Leaf Juice, Sodium PCA, Sodium Hyaluronate, Allantoin, Carrageenan, Isoceteth-20, Disodium EDTA, Citric Acid, Diazolidinyl Urea, Sodium Benzoate, Methylisothiazolinone, Fragrance (Parfum), Benzyl Benzoate, Butylphenyl Methylpropional, Linalool, Hydroxyisohexyl 3-Cyclohexene Carboxaldehyde, Red 33 (CI 17200), Blue 1 (CI 42090), Yellow 5 (CI 19140). 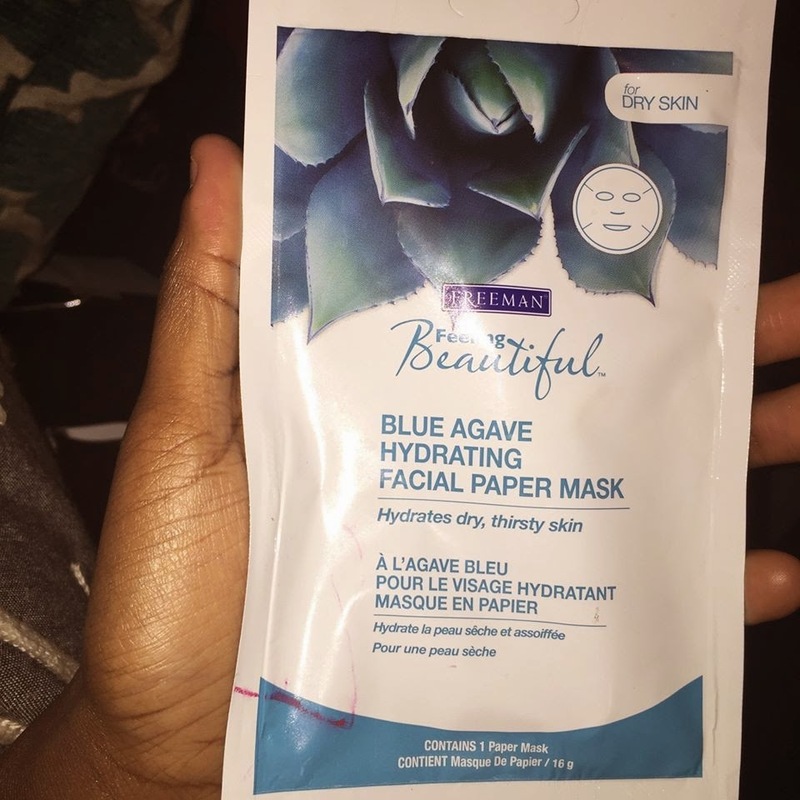 After using the Freeman Blue Agave Hydrating Paper Mask I must say that it is a decent affordable hydrating paper mask for dry skin. 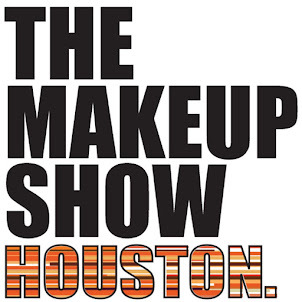 The skin appears relaxed soft and youthful. This hydrating paper mask is packed with tons of serum for the skin to absorb. Although it appeared to be sticky after the removal of the paper mask once the serum settled into the skin the skin was well hydrated and soft. Once I removed the paper mask I just worked he serum into the face. Some said that it caused irritation to the skin. I didn't experience that at all. Everyone skin is different and reacts differently which is why it's important to do a patch test. It also has a soft refreshing scent and this is also great for combination to oily skin. Is this a STASH OR PASS? 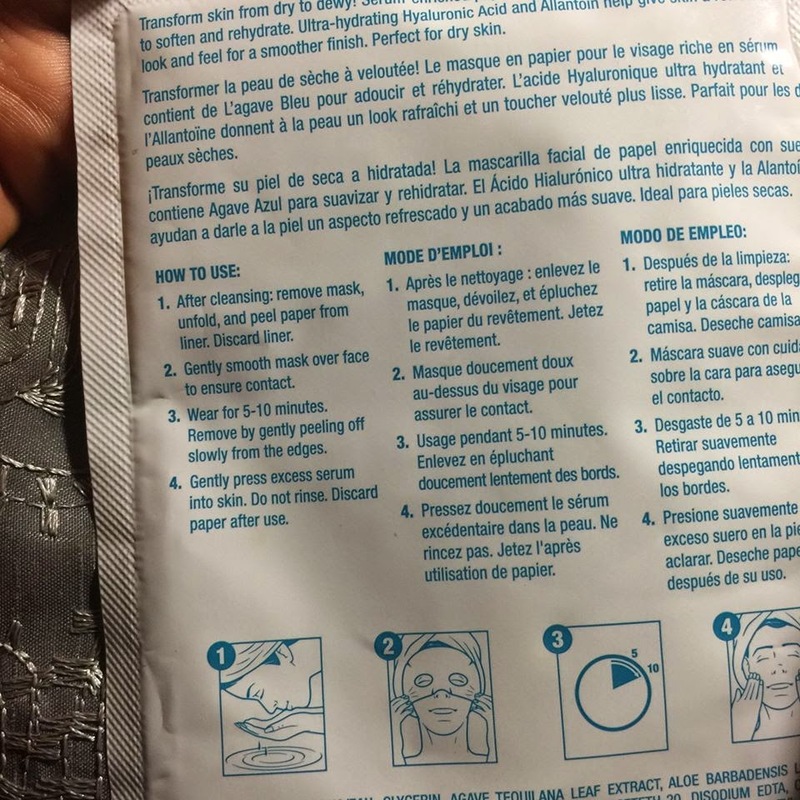 I think considering the price point this is a pretty decent face mask and for me it was effective and if I just find myself in the lazy state and don't want to make my own paper masks then I will consider this as one of my options. So for me this will be Stash.